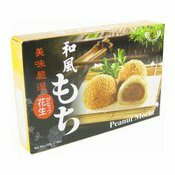 Produced in a factory where gluten, sesame seeds, soybeans and tree nuts are also handled. 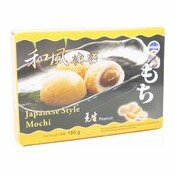 Ingredients: Maltose (25.00%), Glutinous Rice (25.00%), Peanut Paste (Peanut, Sugar, Vegetable Oil [Palm Oil, Rapeseed Oil], Salt, Peanut Flavour) (20%), Sugar (15.00%), Thickening Agent (E1442) (5.00%), Palm Oil (5.00%), Peanut (4.97%), Preservative (E200) (0.03%). 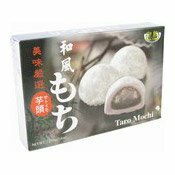 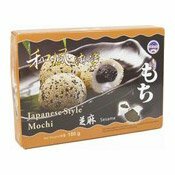 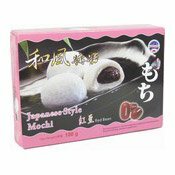 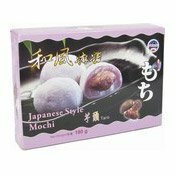 Simply enter your details below and we will send you an e-mail when “Mochi Japanese Style Rice Cakes (Peanut) (皇族花生麻糬)” is back in stock!